It's time for another Whipper Snapper Designs cling set release! 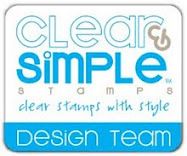 There are three new sets releasing today, as well as a recipe card stamp that will come in handy for so many projects! Garden of Friendship is filled with all kinds of garden themed images and even a few sentiments. For my first card with this set I picked the smiling sunflower trio. I colored them more like daisies and paired them with the Thank You sentiment from the set. Garden Fresh has the cutest jar image along with all kinds of fun images to add to the label making it super versatile and perfect for any canned goodie. 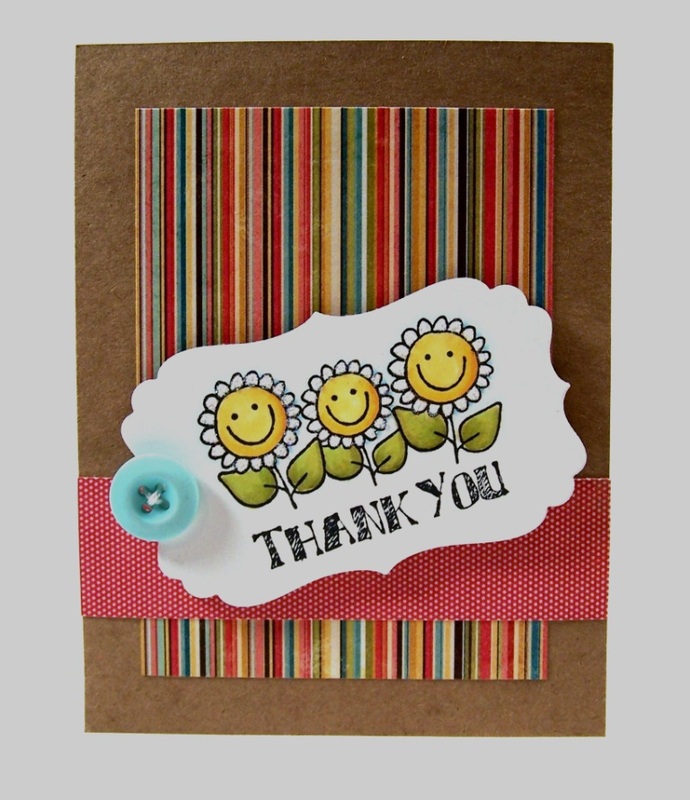 I added a little tag with the hello sentiment from Sweet Expressions. Recipe Card Companions is a set designed to be used with the Recipe Card stamp. The recipe card was designed to be simple, and easy to use. It tucks nicely into standard sized recipe boxes but I decided to use them to make a birthday card by pairing them with some sentiments from 29 Again. Don't forget to check out the blogs and galleries of my fellow Featured Designers, as they share projects throughout the month. Thanks so much for stopping. I'll have more samples to share tomorrow so please stop back. Long time no post. 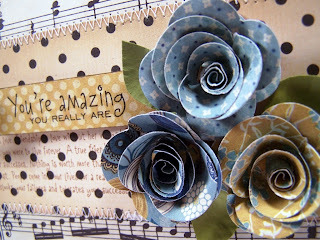 . . so how about another Whipper Snapper card using the All Things With Love set by Anna Wight. 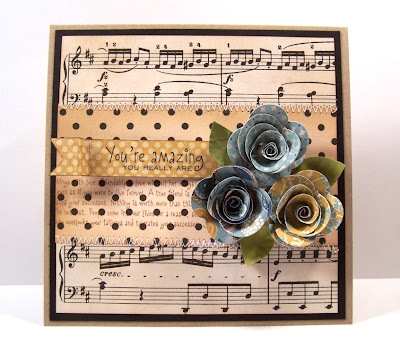 I used it for the sentiment and I also stamped the background text stamp on the polka dot paper. The flowers are made with some of the papers from My Mind's Eye Stella and Rose collection. Here is a close-up of the flowers and sentiment. The sheet music is some vintage music I bought at an estate sale. I recently signed up to be a Creative Consultant with A Muse Studio and I'm so excited for this new venture. This is not an April Fool's Day joke. My NEW A Muse Studio Webpage is LIVE! Now you can shop for all your A Muse goodies on-line. If you'd rather host a workshop to earn some free stuff, let me know.